Our dentists practice all aspects of general dentistry including white fillings, same-day crowns, extractions, dental implants, and dentures. We practice mercury-free dentistry providing comprehensive care with biologically-compatible materials. We also have SMART certified dentists to remove your mercury amalgam fillings as safely as possible. Our emphasis is on the highest quality of dentistry and the best long-term options. Extra time and care are taken at consultations to explain treatment options to the patient. Models, photographs and diagrams of treatment options are carefully reviewed so the patient is empowered to make his/her decisions on their oral health care. 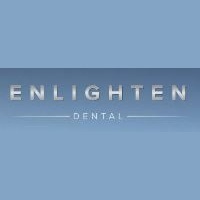 Enlighten is about both educating patients, and lightening the burden the mouth is having on their health.